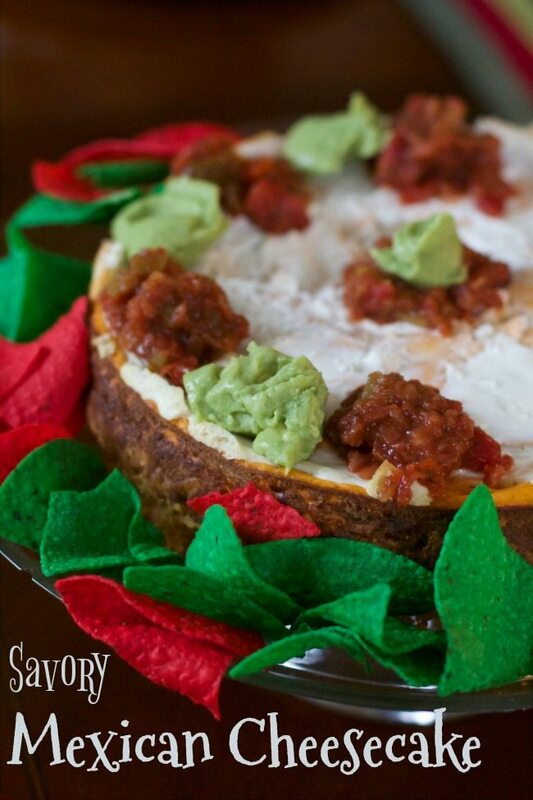 Savory Mexican Cheesecake Recipe is a great appetizer to make for a party. The best part of any cheesecake recipe is that you need to make it ahead of time. I love cheesecakes and this savory cheesecake recipe also was a crowd pleasers. 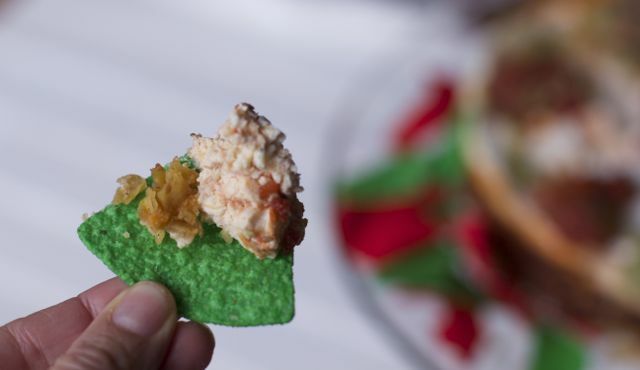 Too often we get stuck in a dip rut when it comes to appetizers but not anymore. In just under an hour you can make an appetizer that your guests will be thrilled to dive into. 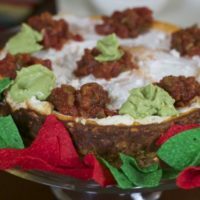 Made very similar to a dessert cheesecake, this Savory Mexican Cheesecake Recipe is filled with cream cheese, cheeses and salsa for a Tex Mex version. 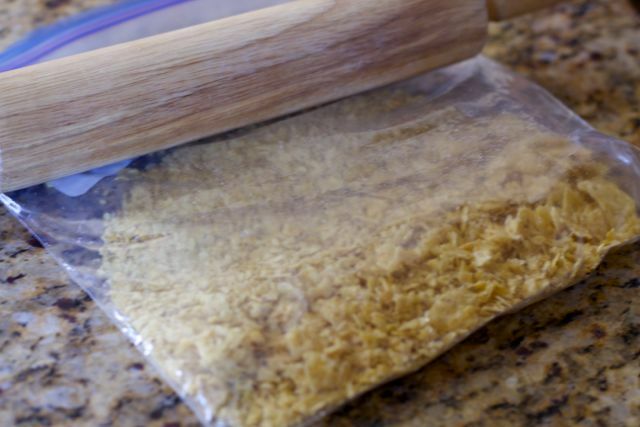 The crust is made from crumbled tortilla chips but you don’t have to make the crust, but the best way is to crush them in a plastic ziploc bag. After the party, I realized people ate the cheesecake part and the crust was left on the tray. 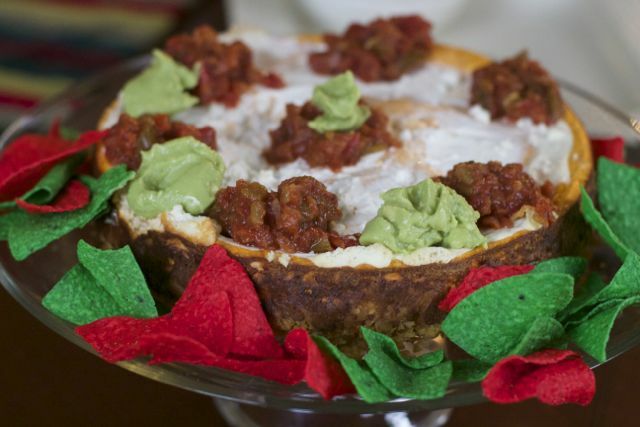 It makes sense since they are dipping tortilla chips into the cheesecake. I think I over baked my cheesecake because I was worried it was not set up in the middle at the time the buzzer went off. In my opinion it was a little dry but I am my worse critic. It is recommended that you allow it to cool for 3-24 hours before serving and we allowed it to cool for over 48. Right before serving dollop some salsa, that has been drained, and guacamole. 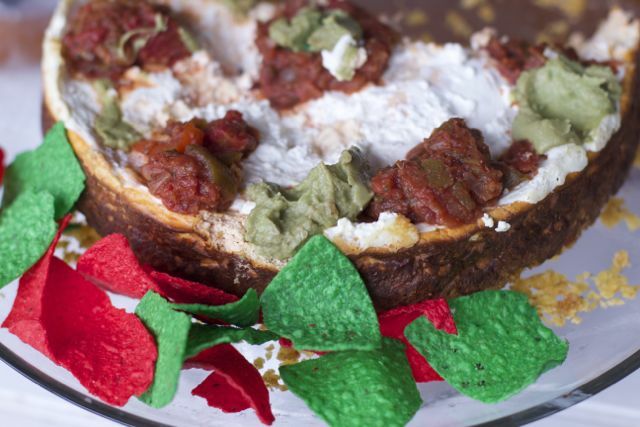 Since this Savory Mexican Cheesecake Recipe was served at a holiday party, I could not resist the red and green tortilla chips. This appetizer would be easy to transport to a party as well. Just keep it in your springform pan until you get to the party and then display onto a platter. This appetizer was a great compliment to our walking tacos we also served. Who says kids can have all the fun. 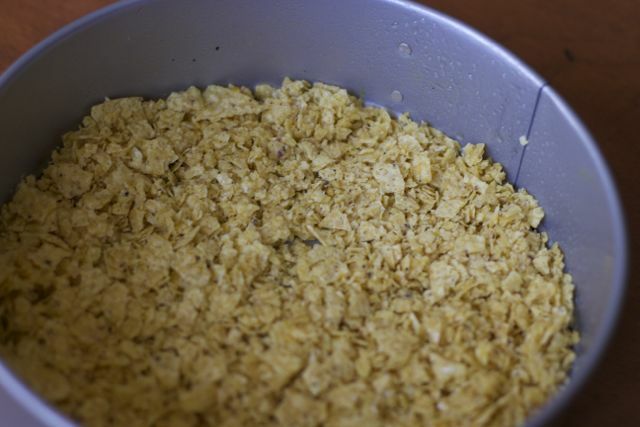 In a large bowl, beat cream cheese, 1/2 cup sour cream and taco seasoning until smooth. Add eggs; beat on low speed just until combined. Stir in cheddar cheese and chilies. Transfer to a greased 9-in. springform pan. Place on a baking sheet. Bake at 350° for 25-30 minutes or until center is almost set. Spread remaining sour cream evenly over top. Bake 5-8 minutes longer or until topping is set. Just before serving, spread salsa over cheesecake. Serve with tortilla chips or vegetables. Yield: 24 servings. 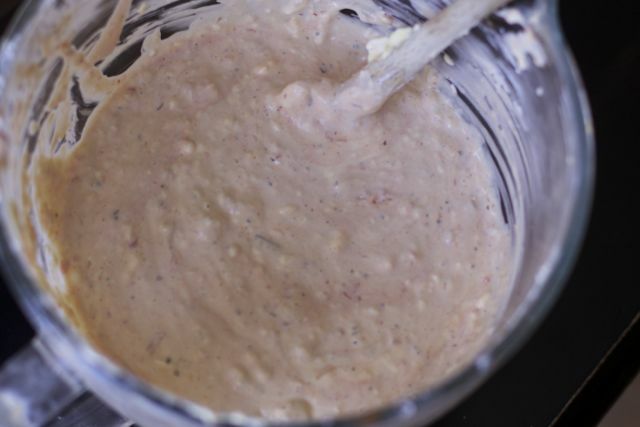 In a large bowl, beat cream cheese and cheese and beat with an electric mixer until light and fluffy. Bean in 8 oz sour cream. Add eggs, one at a time; beat on low speed just until combined. Stir in salsa and chilies. Transfer to a greased 9-in. springform pan. Place on a baking sheet. Bake at 350° for 40 minutes or until center is almost set. Spread remaining sour cream evenly over top. Bake 5-8 minutes longer or until topping is set. Just before serving, spread salsa over cheesecake. Serve with tortilla chips or vegetables. You can even half this Savory Mexican Cheesecake Recipe and make it in a smaller springform pan. This is genius! Just this morning, after looking at so many cheesecake desserts, I was wondering why there were no savory cheesecakes. Voila! Yours magically appeared. I can’t wait to make this! I’ve been meaning to make a savory cheesecake for a while and this is a great recipe to start. Perfect for entertaining, can’t wait to try it. This sounds delicious! I need to get this going!! Anything with Mexican flavors is the best for me. It is great recipe for any party gathering! I never thought of savory version of cheesecake. I like this because it has spiciness and you are right they are best for any party.